Ry has been working at Union Veterinary Clinic for 10 years. Ry graduated from the George Washington University. His interests include ice hockey and rooting for Pittsburgh sports teams. He lives in DC with his wife Allison, daughter Matilda, son Leo, dog Polamalu, and cat Franco. 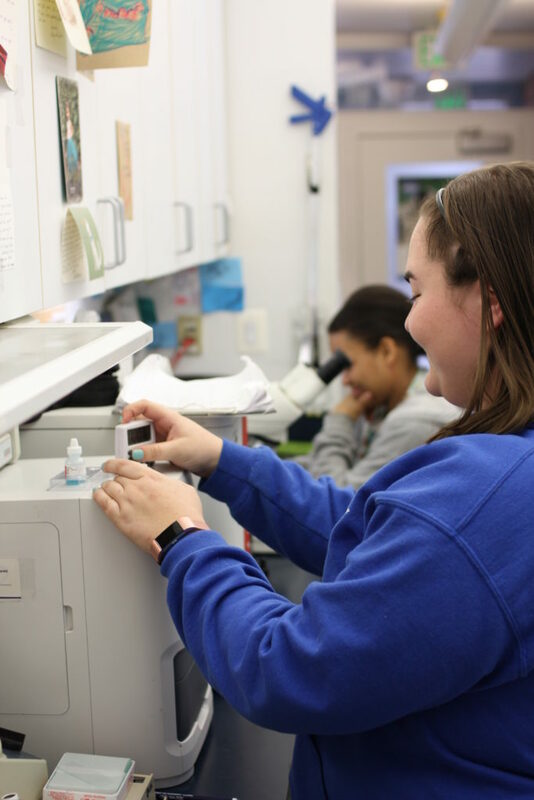 Rebecca has been working at Union Veterinary Clinic since 2013. She was also a veterinary assistant in 2007 before attending Virginia Commonwealth University for sculpture, psychology, and sociology. 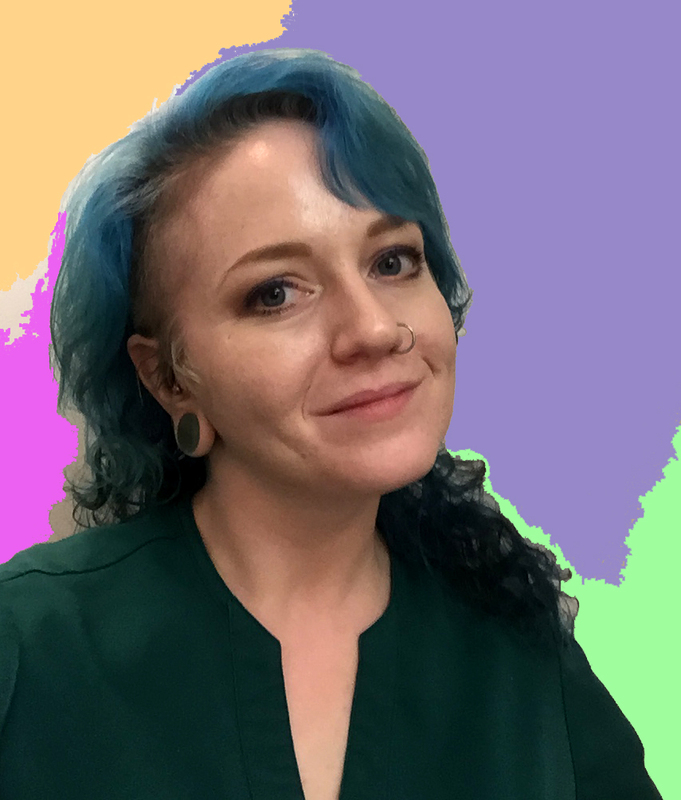 Rebecca enjoys painting, caring for animals, and hiking. She has two rambunctious cats at home, Valkyrie and Master Splinter. 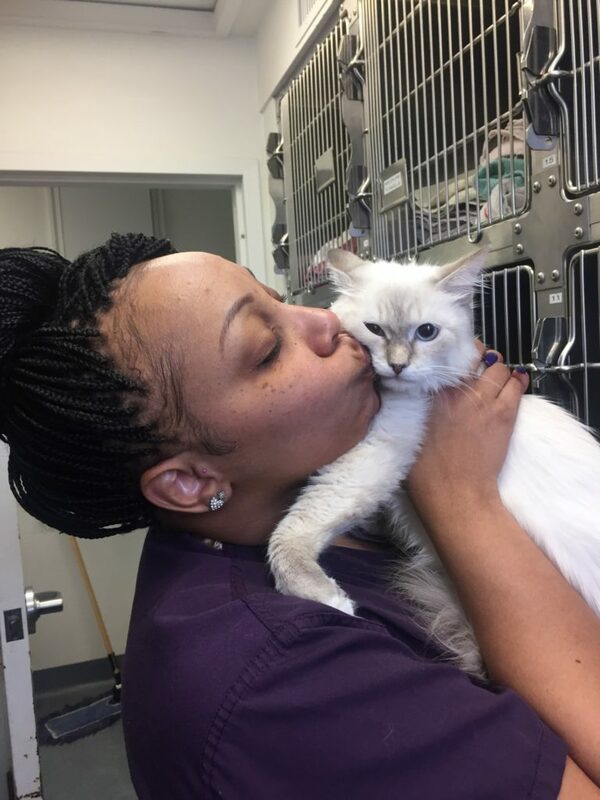 Nesha has worked for Union Vet Clinic since 2004! She loves her cats, Bambu and Goblin. She feeds them out of crystal goblets and they sleep on feather cat beds. 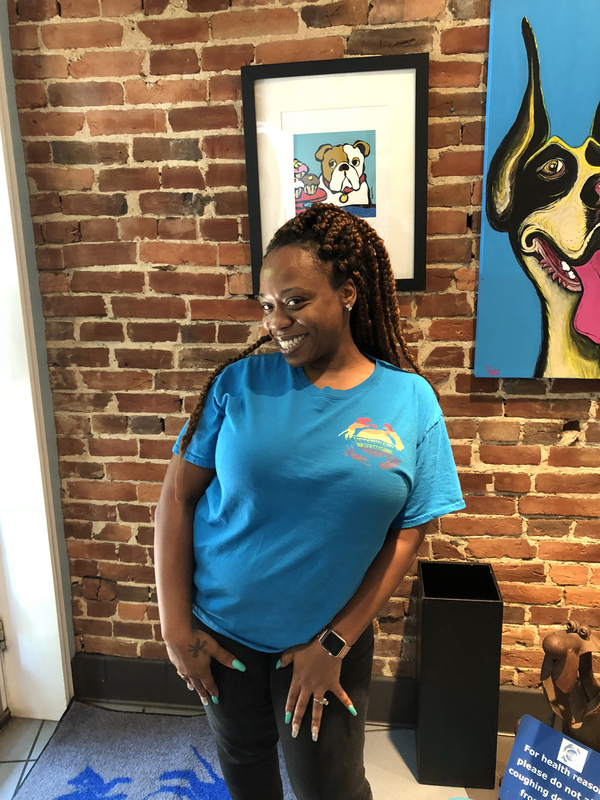 Nesha loves working with people and their pets and prides herself on staying cool under the pressure. Nesha loves singing karaoke and bowling in her free time. Go Ravens! 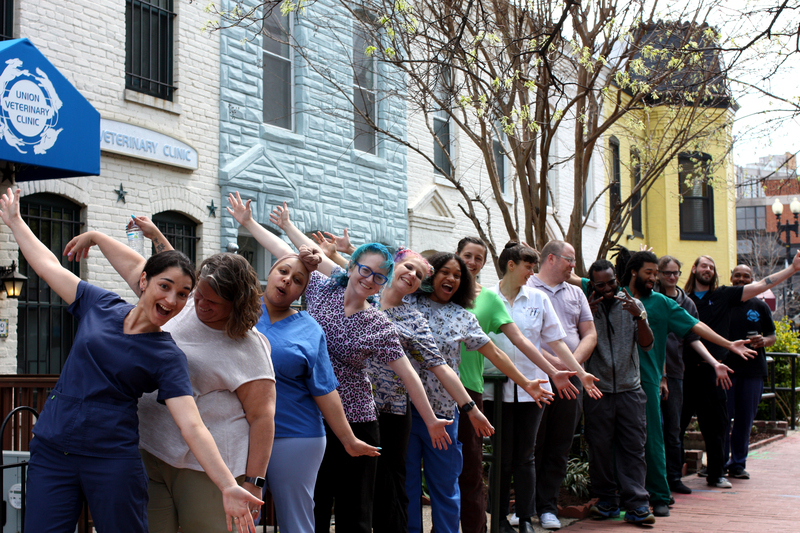 Kia is a DC native who has been working in the veterinary field since 2009. She worked as a technician before she gradually transitioned into a receptionist. She is passionate about animals and the environment, and has her very own zoo at home with 4 cats (Jack Bauer, Animal (Big A), Gee, Pretty), 2 dogs (Bone & Isadora), and 2 wild teenagers. Kia also works as a hairstylist when she’s not working at the vet or in school. She enjoys a delicious vegetarian meal and spending time with her wonderful family. 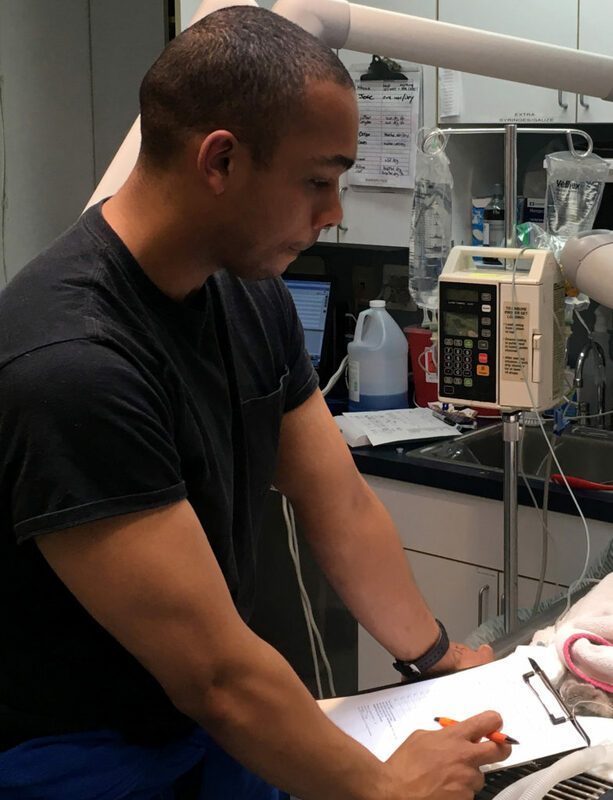 Bryce has been in the veterinary field for two years. 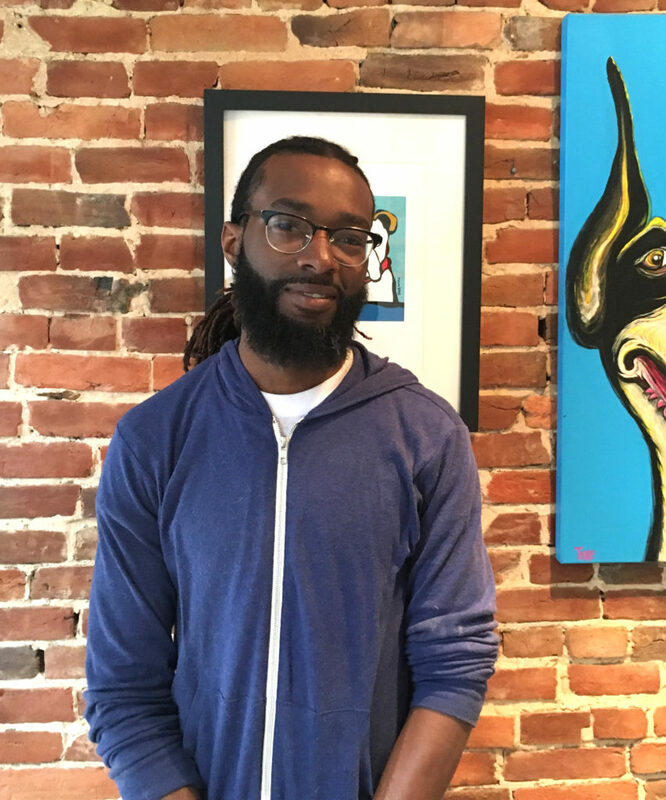 He is a graduate of the University of Maryland Eastern Shore and plans to use his degree to become a K9 Police Officer or a Private Investigator. Outside of work Bryce enjoys going to the movies, playing video games, and spending time with family and friends. Tim grew up in a small town in West Tennessee. 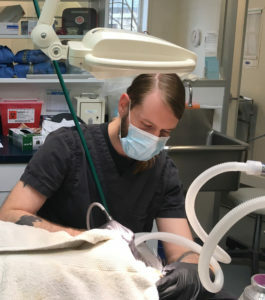 He moved to Nashville after high school to go to Veterinary Technician school, where he worked as a technician for 7 years, During 4 of those years, he went back to school to get a Bachelor’s degree in Biology. He moved to DC in early 2017 with his wife, who started working at the National Archives in February. Together they have two dogs and one cat. Tim enjoys going to concerts, hiking, and playing video games in his free time. 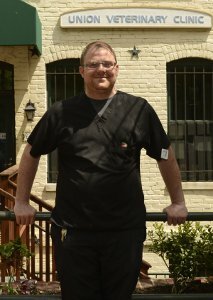 Aaron has been at Union Veterinary Clinic since 2008. 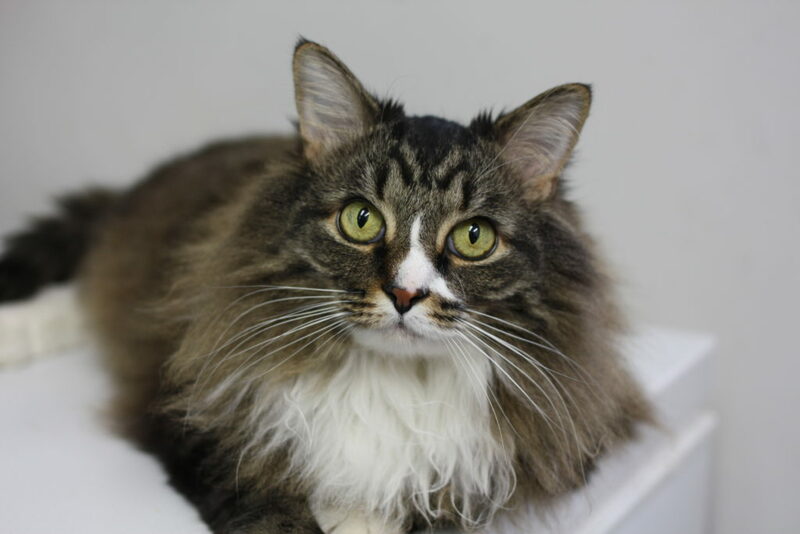 Besides animals, her other interests include playing tennis, hiking, cooking, and video games. She lives with her 12 year old beagle/husky mix, Buttons. 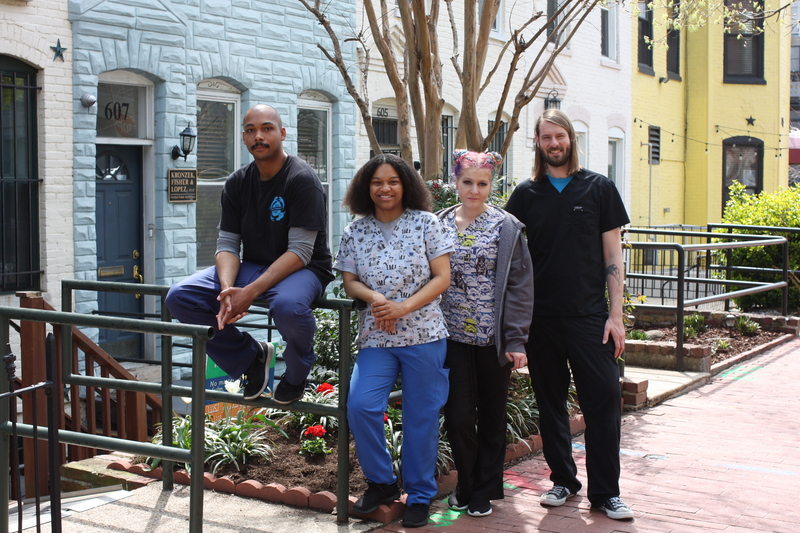 Christian has been working at Union Veterinary Clinic since 2012. He has two energetic pups who enjoy accompanying him to the clinic, Rosie and Lily. Allison has been working at Union Veterinary Clinic for close to three years. She grew up in New York before coming to the area for school. She graduated from the University of Maryland with a Bachelor’s degree in Animal Science. Outside of work Allison enjoys playing lacrosse and exploring the area. Amanda has been working for UVC since 2016. She has been working as a veterinary nurse for over 15 years; first in Equine, then in small animal emergency and orthopedic surgery. She enjoys traveling and covering electronic music festivals in her spare time for her blog, and has a Bengal Cat named Clara. 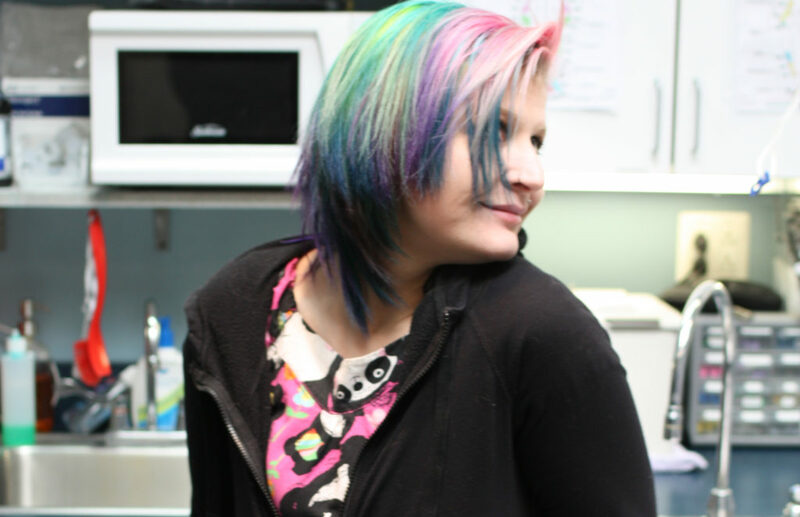 Find her rocking a new creative hair color combination every few months, thanks to her hair modeling side-job! 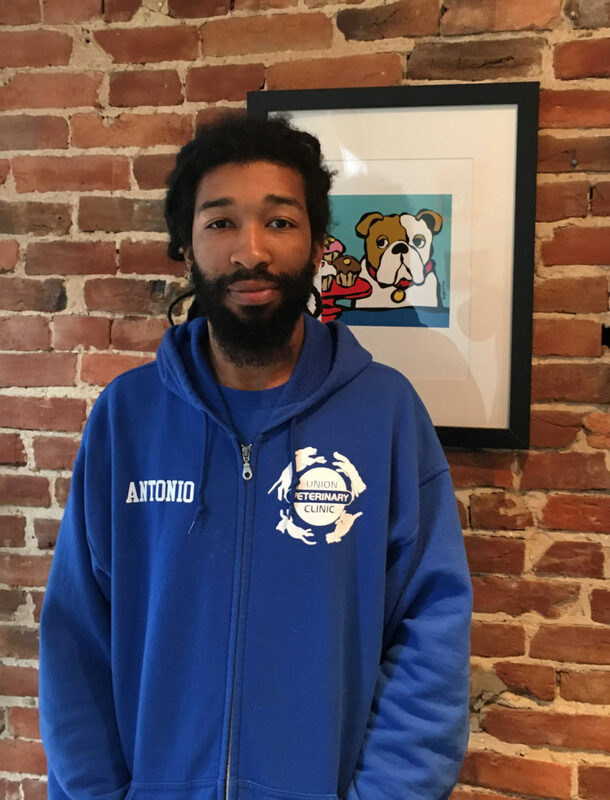 Born and raised in the DC area, Antonio joined the Union Vet team in 2017. After four years in the animal field he thought it was time to gain some in practice experience with dogs and cats. However, he still has a soft spot for reptiles and has a couple of pet lizards! In his free time he encourages his son and daughter to root for the Atlanta Falcons. Alfred has been working in the veterinary field for 8 years. He has a cute silver tabby named Sylvia and a Betta named Azul with very “interesting” personalities. He would love to have a Boston terrier in the future. He enjoys the outdoors , music, is a movie fanatic and loves to swim. Maddux has been patrolling the halls of UVC since 2014. His hobbies include sneaking food, shredding toilet paper, chasing ankles, and taunting dogs.